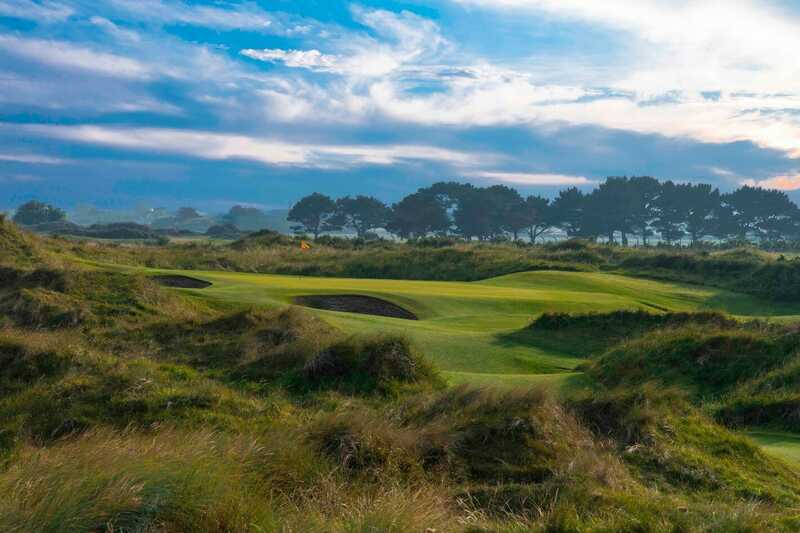 The hugely successful Winter Series is back at Portmarnock Hotel & Golf Links and gets underway next week October 3rd. In a new move, Taylormade Golf is to sponsor the series which has become a real feature of winter golf in Ireland and has attracted almost all the leading names in Irish golf since it started in 2003 . The involvement of Taylormade adds another dimension to the Series as they will be using the event to highlight their latest equipment and newest golf ball the TP5. Speaking on the announcement of TaylorMade’s sponsorship of the event, John Caulfield adds – “We are very excited to be involved in an event that attracts all the leading amateur and professional golfers from across the country. We like to associate our brand with the serious golfer and Portmarnock Links plays home to these players for the competitive winter season. Our new TP 5 golf ball is a must play and we look forward to hearing feedback from all the players who test the ball over the course of the series”. The format of the series is singles strokes with three gross and three nett prizes every week. It is open to both male and female professionals and amateurs (handicap limit 9). For the amateurs all competitions are counting competitions for handicap. This year will will see the creation of Order of Merits for both the professionals and amateurs. In both case the Order of Merits which will be based on a players top 6 rounds with end of season overall winners. The Order of Merit prizes will be in addition to the weekly prizes. Based on previous years it is expected that an average of 90-100 players will participate each week. Entries can be made immediately by directly contacting the Pro Shop at the Links on 01 866 6592. Speaking of the Series, Portmarnock Links professional Conor Russell emphasised the fact that there are no winter rules at the Links. ” At a time of the year when many Irish courses introduce mats or placing this has never happened at the Links. This is undoubtedly a major attraction as it gives serious players the opportunity to hone their games under proper playing conditions on a Championship class course. We pride ourselves on the quality of the course and the speed of our greens during the winter months”. “Every year the Winter Series attracts terrific fields. Over the years those playing have included many players who have gone on to play at the highest levels of both amateur and professional golf in Ireland – and wider afield. I think it is terrific to have Taylormade on board. I believe one of their slogans is ‘serious clubs for serious people’. At the Links we always think of the Winter Series as ‘serious golf for serious players’ – so it’s a perfect partnership”. Get all the latest golf news and free digital editions of Irish Golfer delivered straight to your inbox! I give my consent to receive emails from Irish Golfer / Match Play Media Ltd.